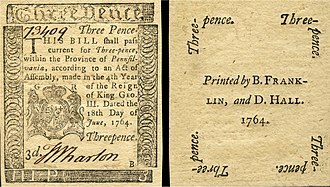 In cricket in the early 1760s, there was a transition from the sport's "pioneering phase" to its "pre-modern phase" when bowlers began to bowl pitched deliveries by pitching the ball towards the wicket instead of rolling or skimming it along the ground as they had previously done. The essential bowling action was still underarm but the introduction of a ball travelling through the air coupled with a bounce was a key point of evolution in the sport's history, especially as it was the catalyst for the invention of the straight bat, which replaced the old "hockey stick" design. It was the first of three keypoint evolutions in bowling: the others were the introduction of the roundarm style in the 1820s and overarm in the 1860s. It arose from a challenge given by Lord John Sackville on the part of the County of Kent to play all England; and it proved to be a well contested match as will appear from the manner in which the players kept the field. The hitting however could neither have been of a high character nor indeed safe, as may be gathered from the figure of the bat at that time; which was similar to an old-fashioned dinner knife, curved at the back and sweeping in the form of a volute at the front and end. With such a bat the system must have been all for hitting; it would be barely possible to block and when the practice of bowling length balls was introduced and which gave the bowler so great an advantage in the game it became necessary to change the form of the bat. It was therefore made strait in the pod (sic). Some years after this the fashion of the bat having been changed to a strait form the system of stopping and blocking was adopted. This is effectively all that can be found in early sources about the introduction of the "length ball" and the consequent development of the "strait" bat. The evolution occurred after 1744 and before 1770. 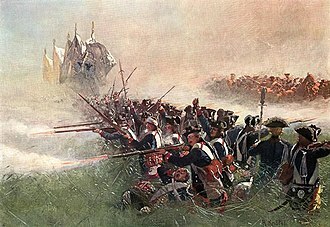 Given the rise of Hambledon from the mid-1760s, it is believed to have happened c.1760 during the Seven Years' War in which there was apparently a lull in important matches, certainly in terms of known matches until it ended in 1763. 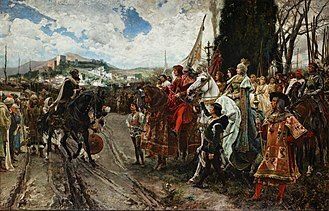 Whereas roundarm and overarm were highly controversial and were introduced in the face of fierce opposition, there is nothing in the historical records which precisely dates the introduction of pitching and nothing which indicates that it was controversial. It has been suggested that the change effectively created a different code of cricket, just as there are now two different codes of rugby football, though in cricket the new completely superseded the old. 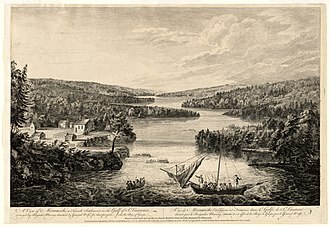 The two eras are bridged by the career (c.1749 to c.1774) of John Frame, one of the game's first great bowlers, who played with pioneers like Thomas Waymark, Richard Newland and Robert Colchin at the beginning of his career and with pre-modernists like John Small and Lumpy Stevens at the end. As described in History of cricket to 1725, early cricketers played in their everyday clothes and had no protective equipment such as gloves or pads. A 1743 painting by Francis Hayman of a game in progress at the Artillery Ground depicts two batsmen and a bowler dressed alike in white shirt, breeches, white knee-length stockings and shoes with buckles. The wicket-keeper wears the same clothes with the addition of a waistcoat. An umpire and scorer wear three-quarter length coats and tricorn hats. Apart from the shirts and stockings, none of the clothes are white and no one wears pads or gloves. The ball is bowled underarm along the ground, as in bowls, at varying speed towards a wicket consisting of two stumps mounted by a single crosspiece. 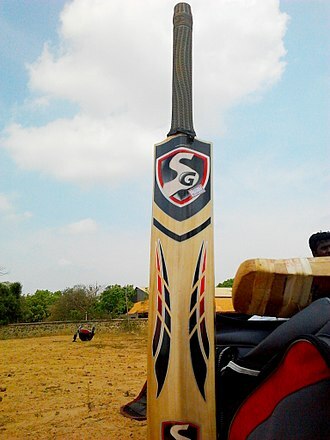 The batsman addresses the delivery with a bat that resembles a modern hockey stick, this shape being ideal for dealing with a ball on the ground. When the ball was bowled along the ground, the batsman used his curved bat to attack it and try to hit it away, usually with the intention of lofting it over the fielders. There was, as such, no defensive technique other than the most rudimentary and instinctive attempt to stop a ball that had deceived him. The pitched delivery made the curved bat obsolete and the straight bat lent itself to the deployment of a defensive stroke. As the aim of the batsman with a curved bat was to hit the ball over the fielders, low scores were normal. If he did not time his shot correctly, the chances were high that he would miss the ball and be bowled or stumped; or else if he hit it poorly, he would not clear the fielder and be caught out. In addition, the pitches of the time were little more than rough tracks which were to the bowler's advantage. One of the greatest players of the pioneering period was Richard Newland of Slindon and Sussex. 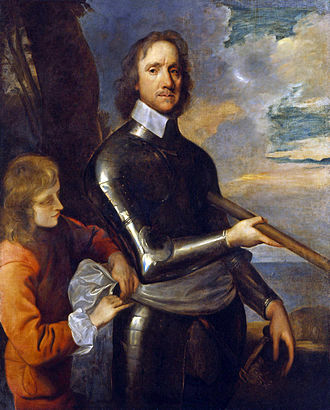 In July 1745, he scored 88 for All-England against Kent at the Artillery Ground. It is not absolutely certain that he did this in one innings as it may have been his match total (there is a parallel here with Small in a 1768 match). 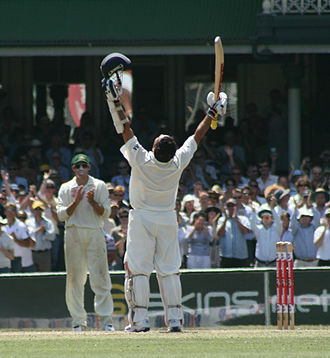 If it was one innings, it is the highest individual score recorded during the pioneering period and, for its time, was a very high score which could equate in real terms to a modern triple-century. 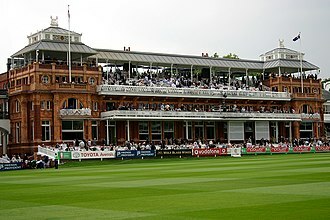 Although the Hambledon Club is widely and erroneously called the "Cradle of Cricket", it can at least, wrote F. S. Ashley-Cooper, "claim to have been the centre in which the game was first brought to a certain degree of perfection and was developed in several respects to its lasting advantage". 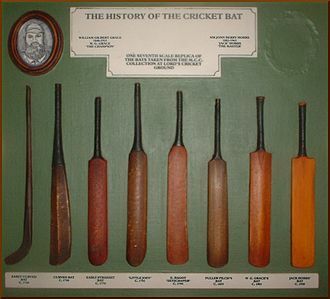 In the first illustration of his book, Ashley-Cooper depicted a curved bat, labelling it: "The type of bat used in the earlier Hambledon matches". This indicates his belief that the straight bat was invented after Hambledon became a noted team. Ashley-Cooper believed that the club was founded in the early 1750s but it is possible that it was only a loose parish organisation at that time and that the club per se was not formally constituted until the 1760s. Certainly a team representing Hambledon played Dartford, one of the country's most accomplished teams, in 1756. 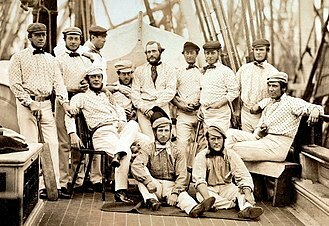 It seems, therefore, that the innovations of pitched delivery and straight bat were introduced just at the time when Hambledon came to the fore and so perhaps, as Ashley-Cooper suggested, Hambledon qualifies as the "cradle" of a new code of cricket. 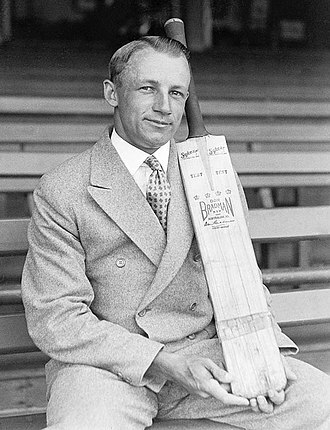 It has been suggested, certainly in speculation, that John Small invented the straight bat, though it is more accurate to suggest that he was the first to master its use. With the transition from the pioneering era of cricket, Hambledon saw in a new "pre-modern" phase defined by underarm pitching which lasted until the introduction of roundarm bowling in the years following the Napoleonic Wars. It is not known who first bowled a pitched delivery, or when, or where, but it is likely that the style was developed primarily at Hambledon, although the leading bowler of the 1760s and 1770s, Lumpy Stevens, played for Chertsey and Surrey. ^ "England v Kent, 1744". CricketArchive. Retrieved 11 March 2015. ^ a b Leach, John (2007). "From Lads to Lord's – The first bowling revolution". Stumpsite. Archived from the original on 29 June 2011. Retrieved 11 March 2015. ^ a b Leach, John (2007). "From Lads to Lord's – 1760". Stumpsite. Archived from the original on 29 June 2011. Retrieved 11 March 2015. ^ The painting is Francis Hayman's Cricket at the Artillery Ground, 1743. It hangs at Lord's Cricket Ground. ^ Ashley-Cooper (ASW), p. 36. ^ Leach, John (2007). "From Lads to Lord's – Richard Newland". Stumpsite. Archived from the original on 29 June 2011. Retrieved 11 March 2015. 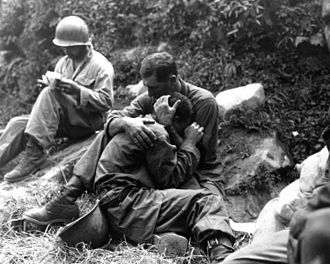 ^ Ashley-Cooper (HCC), p. 17. ^ Ashley-Cooper (HCC), illustration facing p. 20. ^ Leach, John (2007). "From Lads to Lord's – Hambledon Club". Stumpsite. Archived from the original on 29 June 2011. Retrieved 11 March 2015. Nyren, John (1998). Ashley Mote, ed. The Cricketers of my Time. London: Robson. Marshall, John (1961). The Duke who was Cricket. Muller. Swanton, E. W., ed. 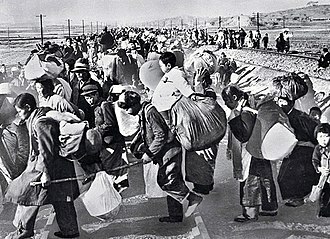 (1986). Barclays World of Cricket. Willow Books. ISBN 0-00-218193-2. Underdown, David (2000). Start of Play. 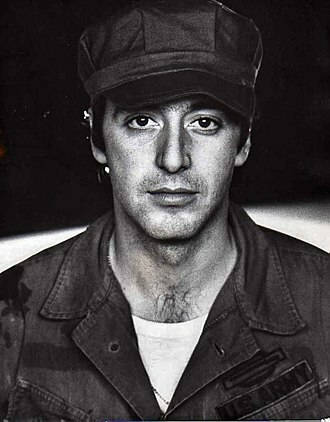 Allen Lane. ISBN 0-713-99330-8. In cricket, roundarm bowling is a bowling style that was introduced in the first quarter of the 19th century and largely superseded underarm bowling by the 1830s. 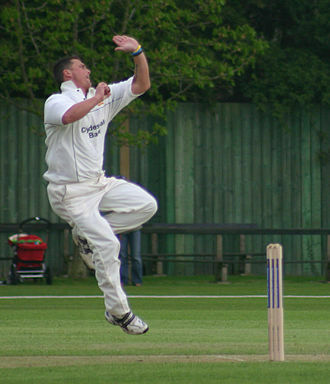 Using a roundarm action, the bowler has their arm extended about 90 degrees from their body at the point where they release the ball. Roundarm fell into decline after 1864 when the current style of bowling was legalised. The spread of roundarm in the 1820s was a reaction to the growing predominance of batsmen over the age-old underarm style of bowling. Its adherents argued that the legalisation of roundarm was essential to restore the balance between batting and bowling, high-scoring matches were still comparatively rare owing to vagaries in pitch conditions. The idea of roundarm is sometimes attributed to Christiana Willes, sister of Kent cricketer John Willes, elevating the arm to just above waist height, she bowled without interference from her attire. Roundarm was said to have devised in the 1790s by Tom Walker. Walker was an opening batsman who had a solid defensive technique and was notoriously difficult to dismiss. He was a more than useful bowler who was looking for ways to improvise. Legend has it that he and some of his players in the Hambledon Era used to practise in a barn during the winters. Walker worked out that he could generate more bounce and variation of pace if he bowled with his arm away from his body and soon realised that these deliveries gave the batsman added problems. He tried to use the style in important matches but was no-balled and had to return to his usual underarm lobs and he tried, without success, to have it accepted in senior cricket. On 15 July 1822, in the MCC v Kent match at Lords and he had been trying at various times to introduce the style since 1807. Being no-balled on this occasion was the straw, for Willes reportedly threw the ball away and withdrew from the match, literally going straight to his horse. He refused to again in any important fixture. 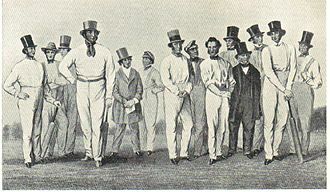 Although Willes had quit the game, he had made his point and others were willing to pick his ball up, in 1826, Sussex had the best team in England and were acclaimed as the Champion County in some quarters. In cricket, an umpire is a person who has the authority to make judgements on the cricket field, according to the laws of cricket. A cricket umpire is not to be confused with the referee who usually presides only over international matches and makes no decisions affecting the outcome of the game. Traditionally, cricket matches have two umpires on the field, one standing at the end where the bowler delivers the ball, since 2002, the ICC has two panels of umpires, namely the Elite Panel of Umpires and the larger International Panel of Umpires. 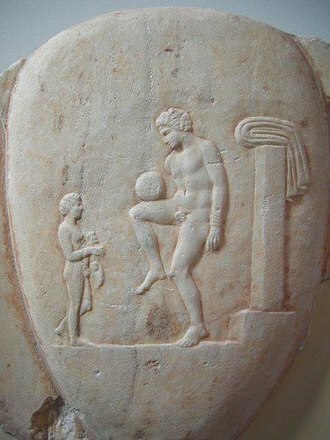 Professional matches have a referee, who complements the role of the umpires. The match referee makes no decisions relevant to the outcome of the game, the ICC appoints a match referee from its Elite Panel of Referees to adjudicate Test matches and One Day Internationals. Minor cricket matches will often have trained umpires, the independent Association of Cricket Umpires and Scorers, formed in 1955, used to conduct umpire training within the UK. It however merged to form the ECB Association of Cricket Officials on 1 January 2008, a new structure of cricket umpiring and scoring qualifications has now been put into place and the ACO provides training and examinations for these. Cricket Australia has introduced an accreditation scheme and eventually all umpires will be required to achieve the appropriate level of accreditation. The ages of umpires can vary enormously as some are former players, in accordance with the tradition of cricket, most ordinary, local games will have two umpires, one supplied by each side, who will fairly enforce the accepted rules. When a ball is being bowled, one stands behind the stumps at the non-strikers end. 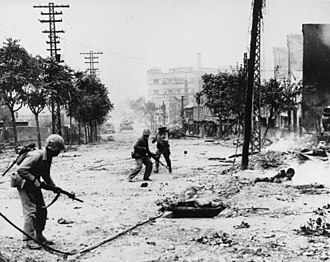 The second takes the position that he gives him the best view of the play. Through long tradition, this is usually square leg – in line with the popping crease, if the square-leg umpire elects to stand at point, he is required to inform both the batsmen, the captain of the fielding team, and his colleague. He may move to the point position in the if the setting sun prevents a clear view of the popping crease at his end. It is up to the umpires to keep out of the way of both the ball and the players. In particular, if the ball is hit and the attempt an run, the umpire behind the stumps will generally retreat to the side. In cricket, the stumps are the three vertical posts that support the bails and form the wicket. 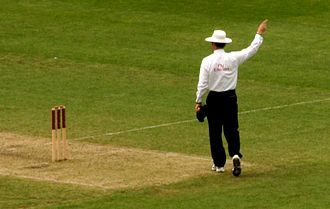 Stumping or being stumped is a method of dismissing a batsman, the umpire calling stumps means the play is over for the day. The stumps are three vertical posts which support two bails, the stumps and bails are usually made of wood, most commonly ash, and together form a wicket at each end of the pitch. The overall width of each wicket is 9 inches, each stump is 28 inches tall with maximum and minimum diameters of 1 1⁄2 inches and 1 3⁄8 inches. They have a spike at one end for inserting into the ground, in junior cricket the items have lesser dimensions. Each stump is referred to by a name, Off stump is the stump on the off side of the wicket. Middle stump is the stump, the middle of the three stumps. Leg stump is the stump on the on side of the wicket and these names are relative to the batsman, so a right-handed batsmans leg stump becomes the off stump when a left-handed player is batting. In modern professional play, the stumps are often branded with a sponsors logo, although they are too far away from spectators to be seen, such logos are visible on television coverage. 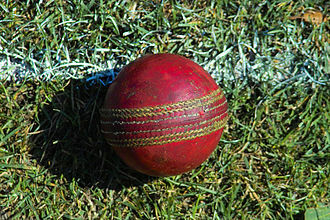 Scoring in cricket matches involves two elements – the number of runs scored and the number of wickets lost by each team. The scorer is someone appointed to all runs scored, all wickets taken and, where appropriate. In professional games, in compliance with the Laws of Cricket, the scorers have no say in whether runs or extras are scored, wickets taken or overs bowled. So that the umpire knows that they have seen each signal, while it is possible to keep score using a pencil and plain paper, scorers often use pre-printed scoring books, and these are commercially available in many different styles. Simple score books allow the recording of each batsmans runs, their scores and mode of dismissal, the analyses, the team score. More sophisticated score books allow for the recording of more detail, sometimes details of occurrences between deliveries, or incidental details like the weather, are recorded. In early times runs scored were sometimes recorded by carving notches on a stick – this root of the use of the slang term notches for runs. In contrast, scoring in the game has become a specialism. For instance, cricket authorities often require information about such as the rate at which teams bowled their overs. The media ask to be notified of records, for many important matches, unofficial scorers keep tally for the broadcast commentators and newspaper journalists allowing the official scorers to concentrate undisturbed. In the English county game, the scorers keep score on a computer that updates a central server, the official scorers occasionally make mistakes, but unlike umpires mistakes these may be corrected after the event. The ECBs Association of Cricket Officials provides training for scorers, there are predominantly two methods that scorers use to record a game and computerised. The manual method uses a scorecard and a pen, the scorecard is colloquially known as The Book. Using the book, the scorer fills out two main sections per ball, the analysis and the batting analysis. Each section helps track the number of balls bowled in an over, any extras, most software used for cricket scoring uses a form at the front end with buttons for the scorer to press to record ball by ball events. Francis Hayman RA was an English painter and illustrator who became one of the founding members of the Royal Academy in 1768, and its first librarian. Born in Exeter, Hayman begun his career as a scene painter in Londons Drury Lane theatre before establishing a studio in St Martins Lane. 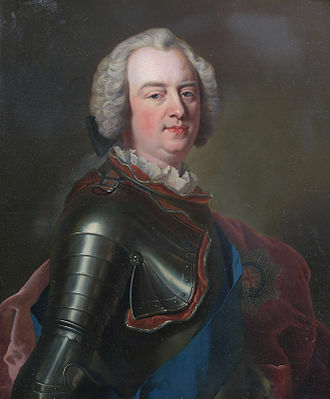 A versatile artist influenced by the French Rococo style, he achieved some note during the 1740s through decorative paintings executed for the boxes at Vauxhall Pleasure Gardens in London. Hayman was a successful portraitist and history painter and he illustrated Pamela, a novel by Samuel Richardson, Miltons Paradise Lost and Paradise Regained, Smollets translation of Don Quixote, and other well-known works. 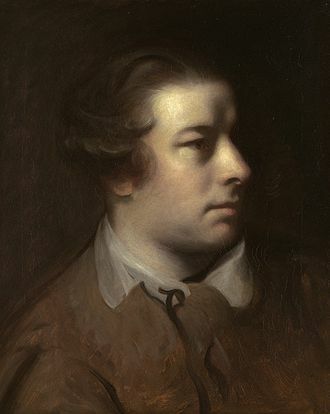 His pupils included Mason Chamberlin, Nathaniel Dance-Holland, Thomas Seton and Lemuel Francis Abbott, with Joshua Reynolds, Hayman was actively involved in the formation of the Society of Artists, a forerunner of the Royal Academy, during the early 1760s. London, Elder & Co. pp. 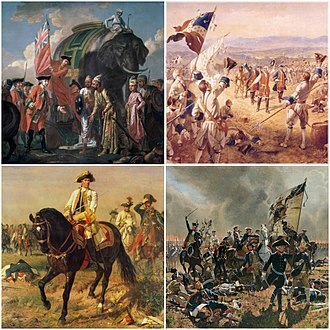 296–7, the Surrender of Montreal to General Amherst de Francis Hayman et l’identité impériale britannique Mens, revue dhistoire intellectuelle et culturelle, Volume 12, numéro 1, automne 2011, p. 91-135. Cricket fielding position can be broken down into offside and legside parts of the field. A fielder or fieldsman may field the ball with any part of his person, most of the rules covering fielders are in Law 41 of the Laws of cricket. In the early days of Test cricket, fielding was not a priority, with the advent of One Day International matches, fielding became more professional as saving runs became more important. With only 11 players in a team, one of whom is the bowler, which positions are filled by players and which remain vacant is a tactical decision made by the captain of the fielding team. 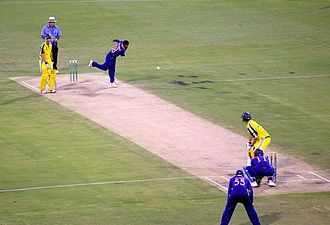 The captain may move players between fielding positions at any time except when a bowler is in the act of bowling to a batsman, there are a number of named basic fielding positions, some of which are employed very commonly and others that are used less often. However, fielding positions are not fixed, and fielders can be placed in positions that differ from the basic positions, words such as backward, forward, or square can further indicate the angle. The image shows the location of most of the fielding positions based on a right-handed batsman. The area to the left of a batsman is called the leg side or on side. If the batsman is left-handed, the leg and off sides are reversed, some fielding positions are used offensively. That is, players are put there with the aim being to catch out the batsman rather than to stop or slow down the scoring of runs. These positions include Slip meant to catch balls that just edge off the bat, Fly slip, Leg slip, Leg gully, the short and silly positions. Short leg, known as bat pad, is a position specifically intended to catch balls that unintentionally strike the bat and leg pad, other positions worth noting include, Wicket-keeper Long stop, who stands behind the wicket-keeper towards the boundary. This position is sometimes referred to as very fine leg. Sweeper, a name for deep cover, deep extra cover or deep midwicket, usually defensive. Cow corner, a jocular term for the position on the boundary between deep midwicket and long on. A position on the leg side 45° behind square, defending the single, an alternative description for backward short leg or short fine leg. 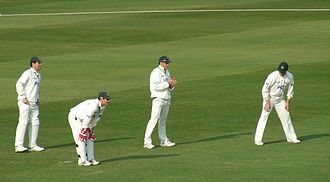 The wicket-keeper in the sport of cricket is the player on the fielding side who stands behind the wicket or stumps being guarded by the batsman currently on strike. The wicket-keeper is the member of the fielding side permitted to wear gloves. 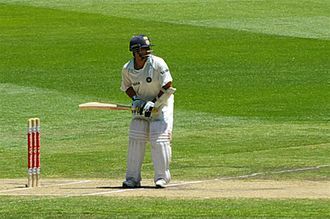 The wicket-keeper may wear a helmet with a face guard to help protect from injury. It is essentially a specialist role, the role of the keeper is governed by Law 40 of the Laws of Cricket. 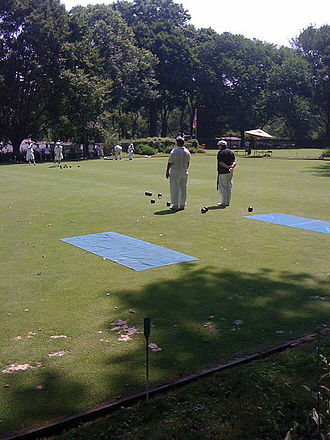 Initially, during the bowling of the ball the wicket-keeper crouches in a squatting position. Australian wicket-keeper Sammy Carter was the first to squat on his haunches rather than bend over from the waist, sometimes the keeper is in the best position to catch a ball which has been hit high in the air. More catches are taken by wicket-keepers than by any other fielding position, the keeper can stump the batsman by using the ball to remove the bails from the stumps, if the batsman is out of his crease after a delivery has passed the stumps into keepers hands. The keeper must dislodge the bail and the batsman is out, when the ball is hit into the outfield, the keeper moves close to the stumps to catch the return throw from a fielder and, if possible, to run out a batsman. The more skilled the keeper, the faster the bowling to which he is able to stand up, wicket-keeping is a specialist discipline and it requires training consistent with the level expected of a specialist batsman or bowler. However, the keeper is expected to possess reasonable batting skill. They typically bat at number 7 in first class cricket, wicket-keepers who are capable of batting at the top of the order are known informally as keeper/batsmen and is more typically seen in limited overs cricket. Since there is room for one keeper in a cricket side. One such selection dilemma was that faced by England selectors in the 1990s between Jack Russell and Alec Stewart, the keeper may have a captaincy role. Uniquely, they are involved in every delivery of an innings. They can frequently be heard encouraging the bowler, and may indulge in the practice of sledging the batsman with well timed comments about their skill, appearance or personal habits. The Indian wicket-keeper batsman MS Dhoni is a notable wicket-keeper captain who captained India in 331 matches across three formats, next best being Mushfiqur Rahim of Bangladesh. In cricket, overarm bowling refers to a delivery in which the bowlers hand is above shoulder height. When cricket originated all bowlers delivered the ball underarm where the hand is below waist height. The Laws of Cricket at that time directed that such a delivery be called a no ball, in 1845, the law was strengthened by removing the benefit of doubt from the bowler in height of hand questions, the umpires view of the incident being final. Even so, it was only a matter of time before confrontation occurred, the problem was that many umpires were themselves bowlers and believed that the bowler should be allowed to bowl with a fully raised hand. The watershed was reached on 26 August 1862 at The Oval when Surrey hosted All-England, play continued next day, but Lillywhite diplomatically withdrew and was replaced by another umpire. MCC responded to this crisis with rather more haste than they had to roundarm, law 10 was rewritten to allow the bowler to bring his arm through at any height providing he kept it straight and did not throw the ball. Portrait of Francis Hayman, by Sir Joshua Reynolds. Royal Albert Memorial Museum, Exeter. The scoreboard at the Adelaide Oval. English cricketer Darren Gough about to deliver the ball overarm-style.